Probiotics and prebiotics are increasing becoming popular as a health food, but what are they, what is the difference between them and why should we take them? Growing research is finding that one of the keys to good health can be found in our guts - specifically, in the bacteria that live in the digestive tract. These bacteria are known as probiotics, and they have been associated with improving digestive health, reducing inflammation, food allergies, skin conditions, obesity and more. Probiotics aid the gut by inhibiting harmful bacteria and increasing helpful bacteria, as well as potentially strengthening the body's immune response. At least 70% of the immune system is found in the gut, so keeping this part of the body in peak condition is important for overall good health. prebiotics on the other hand, are non-digestible food ingredients that provide a food source for these 'friendly' bacteria and so enhance their activity. 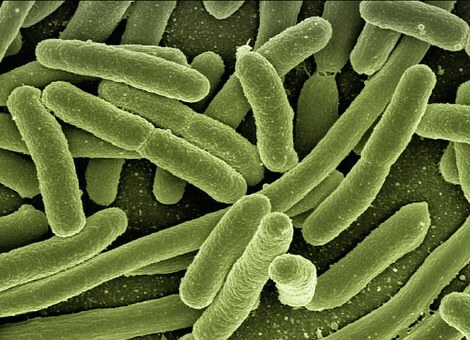 Bacteria live in huge quantities all through our body but about 100 trillion are found in our intestines and are harmless bacteria that cause no problems. The good bacteria in our bowels help to inhibit the growth of more harmful bacteria and aid the digestion and absorption of nutrients. In addition, they seem to assist in the normal movement of our bowels (peristalsis), and stimulate the production of proteins that protect the mucous membranes of the body (our 'inner skin'). If the delicate balance of gut bacteria is disturbed, harmful bacteria can multiply and take over, causing problems. The balance of bacteria is different in each of us, so these symptoms can vary, but many people report symptoms such as constipation, diarrhea, bloating and a tendency to infections. Taking antibiotics is also a potential cause for disruption of the bacteria balance since these can kill both friendly and unfriendly bacteria alike. Other factors affecting the intestinal immune system include a poor diet, medical conditions such as inflammatory bowel disease and lifestyle changes such as stress or weight loss. If the gut immune system is balanced and healthy, this optimizes our natural defences and so helps to fight off infections, maintain health and well-being and allow for faster recovery from illness. Probiotics aim to rebalance normal bacterial levels in the gut by reducing the population of bad bacteria, discouraging pathogenic organisms from invading the digestive system, reducing inflammation and increasing the absorption of vital nutrients. Probiotics are found in certain foods such as cultured dairy products like yoghurt and some cheeses, as well as in pickles and sauerkraut - another name for fermented cabbage. They are also available as dietary supplements, with the bacteria being present originally or added during preparation. Not all probiotics are the same, so when choosing a supplement, look for one where the quality is guaranteed, that provides a sufficient quantity of live, active 'good' bacteria, and that survives the stomach acid. They are also time sensitive so their activity declines the longer they remain unused. This is unlike prebiotics, which are less sensitive and can be stored for many weeks. Always choose a type of supplement that contains at least the bacteria Lactobacillus and Bifidobacterium - the most common type of good bacteria - and swallow them with a cold, not hot, drink. Probiotics should be considered for anyone who has recently had antibiotic treatment, from sufferers of irritable bowel syndrome, those recovering from diarrhea, or for those just wanting to boost their immune system and improve digestive health in general. Prebiotics are non-digestible food fibers that benefit the body by stimulating the growth of healthy bacteria in the intestines. Therefore, to be effective, the prebiotic must not be digested in the upper gastrointestinal tract, so that is able to be released in the lower tract and used by healthy bacteria in the colon. Unlike probiotic bacteria, prebiotic carbohydrates are not destroyed when they are cooked. Prebiotics are usually carbohydrates such as oligosaccharides. Oligosaccharides are sugar molecules made up of three to six chains and soluble fiber. They coat mucous membranes and are found in plants, saliva, and breast milk. So prebiotics and probiotics work together in the body to improve the immune system, improve mineral absorption and balance and rid the gut of harmful microorganisms, which helps to alleviate digestive problems like constipation and diarrhea.